A toast to artists, art lovers, wine fans and our amazing team — what a fabulous celebration of wine, music and art we had this year! Makers from around the Inland Northwest offered a "shop local" extravaganza featuring beautiful glasswork, metalwork, paintings, jewelry, candles, garden art and other unique creations. Art patrons also enjoyed delectable Arbor Crest wines (by the glass, flight or bottle), beer from Square Wheel Brewing, tasty picnic fare, and music from two of Spokane’s most popular bands — the makings of some spectacular summer memories! 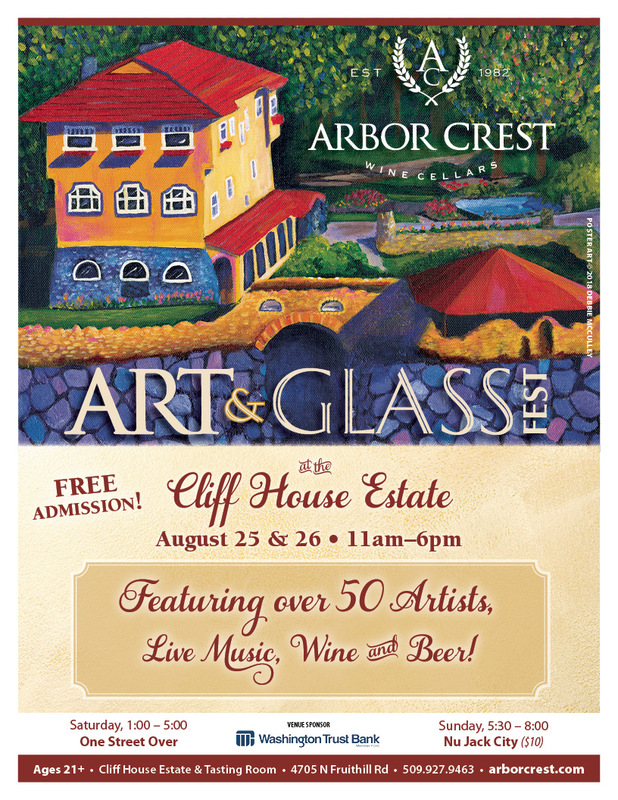 Save the dates for next year, and join us on August 24-25, 2019, for our next Annual Art & Glass Fest! Bridget & Michael Lewis are "One Street Over"
Stay for some uptown funk at the Sunday "Concert on the Cliff" with Nu Jack City! Festival begins at 11:00am and ends at 6:00pm. Assorted picnic fare will be available in the Tasting Room, along with wood-fired pizza from the Mangia food truck on Sunday. Wine and beer is available for purchase until 15 minutes before closing. All musicians and art vendors will be set up outdoors. 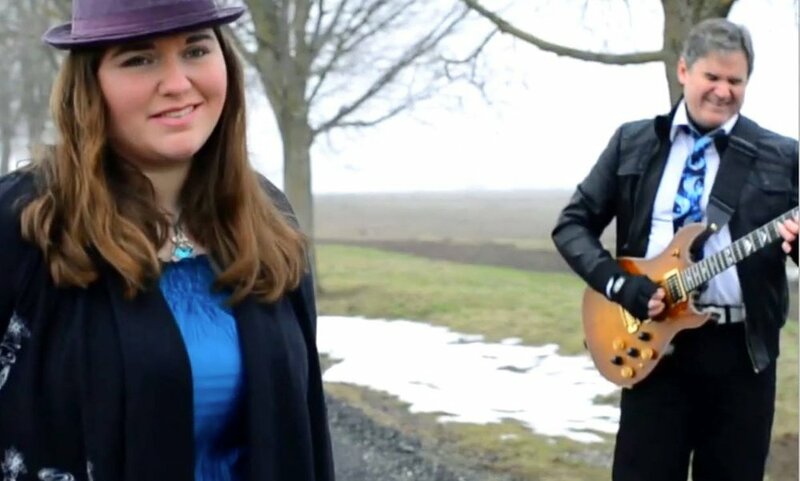 In the event of inclement weather, music performances will be held under our Vineyard Tent. State liquor regulations require that we not allow visitors to bring beer, spirits or wine (including previously purchased Arbor Crest Wine) onto the premises (this includes the parking lot). You are welcome to bring soft drinks (water, juice, soda, etc. ; "alcohol free" wine and beer not allowed), however, the Liquor Board requires that soft drinks be in commercially sealed, unopened bottles or cans. For your safety, all coolers, containers and purses are subject to inspection prior to entering the venue. Pets are not allowed; documented Service Animals are welcome. Other prohibited items include: firearms, fireworks, camp stoves, and barbecues. Please be responsible and have a designated driver!